In-Vehicle Computer: Municipal Vehicle Management‧ Municipal Vehicle, such as police car and fire truck. (Canada) ‧ Canada government use AR-V6002FL in their municipal vehicle to be a control center. Municipal Vehicle Management‧ Municipal Vehicle, such as police car and fire truck. 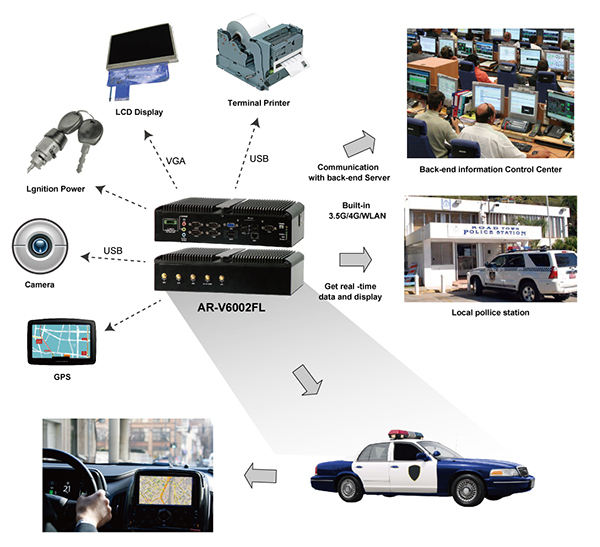 (Canada) ‧ Canada government use AR-V6002FL in their municipal vehicle to be a control center.